Surgical Residency, Huron Road Hospital and St. Vincent Charity Hospital of Cleveland, trained by Gerard V. Yu, DPM. 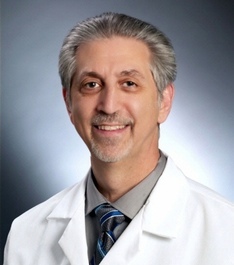 When not treating patients, Dr. Friedman enjoys playing the piano and has performed throughout Northeast Ohio as well as being featured on several CD recordings. Dr. Kimberly Nichelson completed an advanced three-year foot and ankle surgical residency program through University Hospitals of Cleveland Richmond Medical Center and affiliated Cleveland-area hospitals. Dr. Nichelson's expertise in complex foot and ankle reconstructive surgery, diabetic wound care, and sports injuries, along with her gentle and caring bedside manner provides you with the highest quality medical and surgical foot and ankle treatment. We take pride in our friendly and dedicated team of trained professionals who give you the individualized attention you deserve. We constantly strive to treat you the same way we would like to be treated and to provide you with superior patient care.